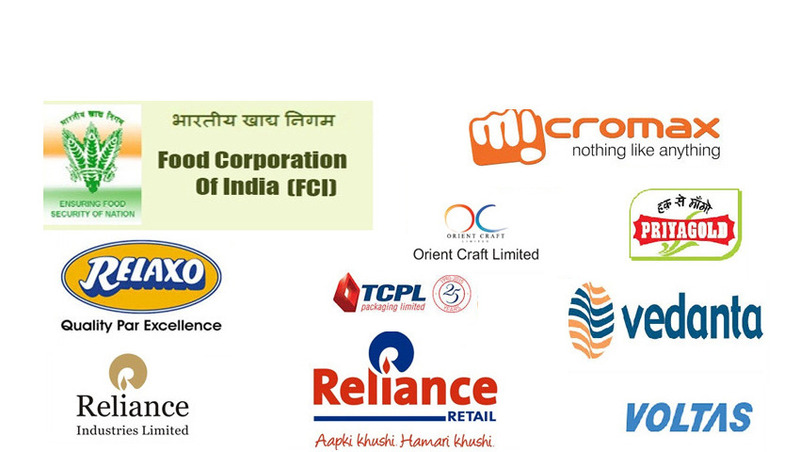 We are a leading Manufacturers & Exporters of Roller Conveyors such as Manual Roller Conveyor, Low Pressure Powered Roller Conveyor, Curve Roller Conveyors, Flexible Roller Conveyors, Powered Roller Conveyor and Chemical Roller Conveyor of very high quality. 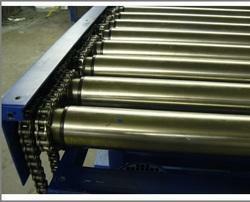 We have over 30 years of experience in design & manufacturing customized roller conveyor systems. Our ISO 9001:2008 systems certified workshop is fully equiped with fabrication equipments and is located in Noida (Delhi NCR). 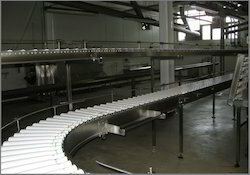 Roller Bend Conveyors can be configured for closed loop conveying or any number of bends in conveying direction. Provision of proper driving force is ensured keeping mind the turning radius of the package for smooth translation. Cost effective, simple and reliable conveying solutions for bends. 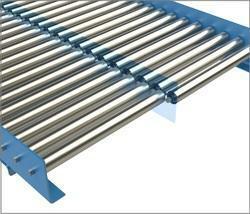 Wide range of angular roller pitch with suitable banking to ensure smooth conveying. For cost effective conveying of light, medium & heavy loads over bends. Can be made into portable units for use as flexible conveying systems. Wide variety of structure constructions available: MS/SS/Extruded Aluminium sections. Surface finish options: Powder coated/Epoxy painted/ Enamel painted/ Galvanized. Our Frame Roller Conveyors are available in PP/SS/GI & food grade constructions for various conveying applications such as chemicals, etc. Suitable for use in wet operating conditions. For conveying light, medium & heavy weight products. Our Outfeed Conveyors are Low Pressure Powered Roller Conveyors that are well suited for conveying delicate/fragile products. Rollers have translating motion driven by chain. The rotary motion of the rollers is free. In the event of accumulation, a minimal pressure is exerted on the product as the rollers freely rotate under the product surface while translating linearly. Positive drive using chain and sprocket ensures no slippage and minimum transmission losses. Properly guarded chain and sprocket arrangement for operator safety. Available in roller constructions of PU/PP. For conveying fragile products with very low pressure in accumulation. Wide variety of structure constructions available: MS/SS/Extruded Aluminum sections. We supply mini roller conveyors of size 40 mm 80 mm in plastic construction for use in trolleys, FIFO racks manual conveying lines. 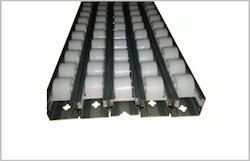 Our roller tracks can easily take loads ranging up to 100 kg/mtr. Other options for these mini rollers include multiple rollers, multi direction rollers, guide type rollers, etc. For heavy duty application we also have mini rollers in steel construction. Our Gravity Roller Conveyors are well suited for conveying any flat surfaced load. The roller pitch and pipe diameters are custom designed depending on the load and the application. Powerfree conveying under gravity using height differentials. 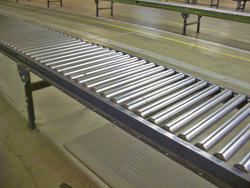 Our Powered Roller Conveyors are well suited for heavier loads that need to be conveyed under controlled conditions. 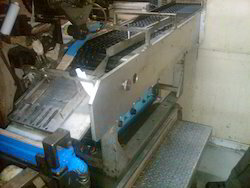 These conveyors are well suited for conveying cartons, boxes, pallets and other flat bottomed loads.